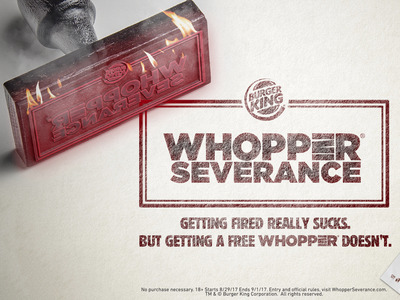 Burger KingBurger King is giving ‘Whopper Severance’ to people who were fired. On Tuesday, the burger chain announced its new “Whopper Severance” deal, in which you can get a free Burger King gift card in exchange for a public acknowledgement that you were fired. 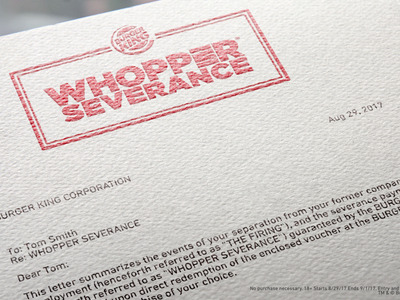 Burger King will then send you a link to register for the delivery of a “Whopper Severance package,” which will include a Burger King gift card. The chain is planning to give away up to 2,500 free Whoppers through the deal. It seems unlikely that Burger King will attempt to vet LinkedIn users to see if they have actually been fired. And, it will also be difficult for the chain to disqualify individuals who were fired for more serious workplace violations, such as sexual harassment, violent behaviour, or otherwise breaking the law. 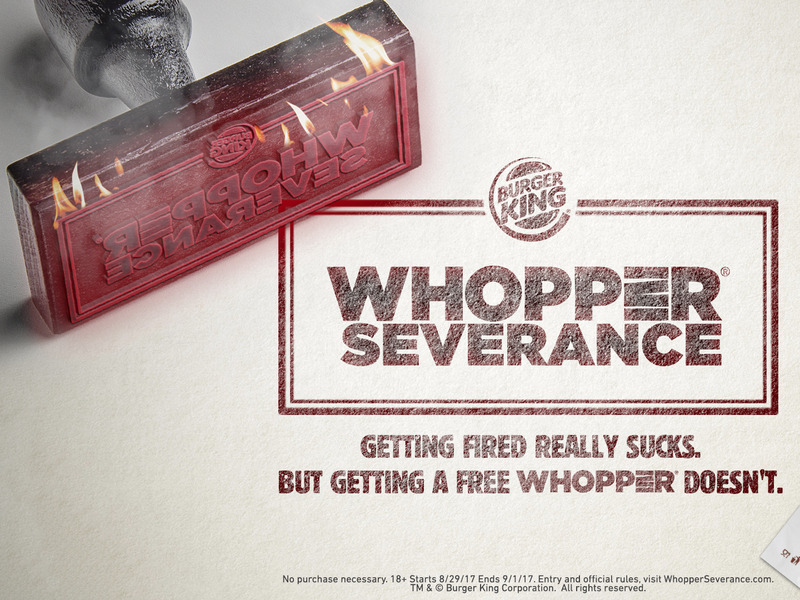 If you’re willing to deal with all of your LinkedIn friends knowing, or at least believing, that you’ve lost your job, you can claim your Whopper Severance package starting Tuesday and ending Friday.